We reported live from Coach & Bus UK last week during the two days of the show. Below are more pictures taken at the event. 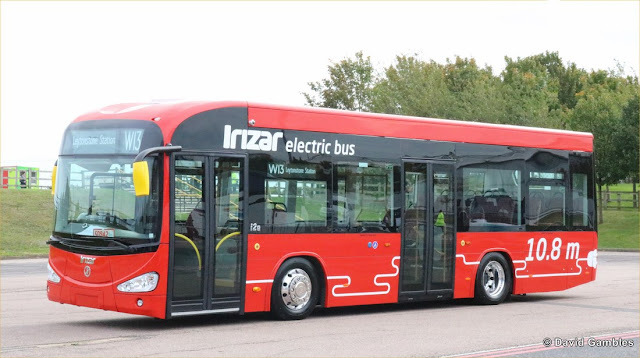 Iriza's range of electrically powered vehicles range from lengths of 10.8m and 12m. They are powered by Sodium Nickel batteries which are claimed to have a ten year working life. Irizar claim that overall fuel and maintenance cost are 70% lower than for conventional vehicles. Arriva Bus and Coach (ABC) showed a right-hand drive example of the Van Hool EX15H. Belgian-made EX range. The vehicle is 12.5m long.